I am delighted to learn today that my new book will be published by Westminister John Knox Press in early February 2008. 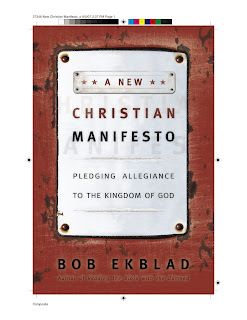 This book seeks to articulate the new work that God is doing in our lives and ministry over the past 4 years. God is clearly reconciling divergent streams in the body of Christ so the Kingdom of God can advance on behalf of the least. The social and charismatic prophetic streams are being drawn together into a dynamic unity with contemplative, evangelical and mainline currents. Advocacy, justice, peacemaking and dialogical Bible study belong together with ministries emphasizing God’s Presence to heal, deliver and empower. Word and Spirit are flowing together to empower people from the bottom upwards so that God’s Kingdom can advance more fully in the darkest places. This project began on the beaches of Mozambique in June 2006 as I received prayer from Rolland Baker, Supresa Sithole, Jose, Francie and other leaders of Iris Ministries. As the group prayed over me before my son Luke and I departed, Supresa suddenly began prophesying that I would write a book, that many would read. “Urgent, urgent, urgent, urgent, urgent!” he said with his thick African-Portuguese accent and he circled me repeatedly, thrusting out his right hand towards me with each declaration. That day we flew to South Africa to visit Gerald West and Jonathan Draper. That night in Gerald West’s vacation house on the coast south of Durban I awoke in the middle of the night with chapter and themes rushing through my head. This continued the following night at Jonathan and Marian Draper’s home in Pietermaritzburg. I am looking forward to sharing this with you all soon. A few weeks ago I ran into a big, tough looking Caucasian guy named Philip during one of our Sunday afternoon Bible studies. “I’m the one you made cry back in April when I was in here. You healed my back,” he said. I immediately remember him and feel embarrassed that he doesn’t say Jesus healed his back. I feel awkward at times about healings that happen, and am especially perplexed that so many people are finding relief from pain in their backs, necks, shoulders, knees, etc. I find myself continually pondering the purpose and value of healing. When I came to you, bretheren, I did not come with superiority of speech or of wisdom, proclaiming to you the testimony of God. For I determined to know nothing among you except Jesus Christ, and him crucified. And I was with you in weakness and in fear and in much trembling. And my message and my preaching were not in persuasive words of wisdom, but in demonstration of the Spirit and of power, that your faith should not rest on the wisdom of men, but on the power of God (1 Cor 2:1-5). I remember well that Sunday in April when Philip was healed. I had invited a group of 15 or so men to put out their hands like I often do so we can invite God to put the anointing of the Holy Spirit for healing onto them so they can pray for themselves or others. “You guys are all made in God’s image,” I said and often keep saying. “Your fingers weren’t made for gun triggers. Guns were made for your hands. Your hands weren’t made to slap around your girlfriend, to cling to a crack pipe or fight your enemies. Your hands were made so you can bless people. God made you to carry the Holy Presence. Maybe you don’t have enough trust to give your hearts, minds and the rest of your bodies to God. But I challenge you to present your hands to God right now as a kind of experiment or small step of faith,” I say. Nearly all the participants that Sunday had put out their hands and I prayed. I then invited them to put their hands where they had pain and we prayed for God’s healing Presence to flow through their hands into their backs, necks, heads, hearts—wherever it is needed. That Sunday ten or so men claimed to experience immediate relief. Some were laughing, others crying or looking seriously perplexed. Philip had dropped his hands from his shoulder and lower back almost immediately, looking dejected. I asked him how he was feeling from across the circle of guys. “The same,” he said, his head hung in shame. “Can I pray for you some more? I asked. “I guess, he said, trying to be polite. I learned that his shoulders had been wrenched when the police had wrestled his arms behind his back and hand-cuffed him. His lower back had been damaged by the cuffs digging in behind his back. “Do you need to forgive those officers for excessive use of force?” I asked, knowing that forgiveness and healing are intimately connected. I prayed something like this. “Jesus, thank you that your love for Philip is constant. You’re call on his life is still there. Nothing has disqualified him. I ask that you would reverse the damages done by the police so he can fully know your love.” I then walked back to my place across from him in the circle and asked him how he was doing. “I feel okay I guess, but as soon as I move my hands behind my back I’m sure I’ll feel that shoulder pain,” he said, and began to move his hands behind his back to the hand-cuffed position. He did this a few times, with increasing awe coming over his face until he said: “I’ll grant it to you. I’ll grant it to you. There’s no more pain.” He dropped down onto his plastic chair and began to sob. So there he was over five months later, reminding me that I’d made him cry. There was no time to talk then as the Sunday group was big and we only had 20 minutes. After we finished looking at that Sunday’s scripture I suddenly got an impression that there was somebody there who needed healing from serious back pain. I immediately doubted this, a voice in my head mocking me that I’m always imagining these things. I went for it though, asking, and a Mexican man raised his hand, just as the door clicked open and the guard announced that the study was over. I quickly went over to the man, placed a hand on his back and commanded the pain to leave in Jesus’ name—accompanying him to the door, praying as we walked. This past Thursday Philip showed up again to our Bible study. I ask him if he can share the story of healing back in April and he readily agrees. He tells a group of eight or nine guys about how he had grown up in the Catholic Church and had religion forced on him. “I didn’t believe at all until last April when I came to the jail. He told about how Jesus healed his shoulders and lower back. He then told about how he’d had a Mexican cellmate who didn’t believe in God at all and had never been to church, but had really serious back pain. “I told him about how God had healed me and convinced him to come. He received prayer, and before we were even back to our cell the guys back was completely healed,” he said in delight. He then told how he’d been jumped by some gang guys and beaten up there in the jail pod just after this and they’d transferred him to another pod. He told how he had three big bumps on his head, and how he’d motioned to Chris and I through the glass and we’d indicated back to him with hand signs that we would pray for him. “I woke up the next morning and the bumps on my head were all gone and I was completely better. Now I can say that I believe for the first time,” he said. “So what convinced you?” I ask. “Why do you now believe?” “This may sound kind of cheesy,” he said. “But it’s all these healings.” That night another Mexican man was there who said that his back was wrenched from the police throwing him to the ground and cuffing him. We pray for him and his pain goes away on the spot. Jesus keeps confirming the words of Scripture and the testimonies of new believers. The message is passed on as God’s power becomes visible here and now as the Kingdom of God comes close. I appreciate your prayers. That God’s healings Presence would continue to touch people there in the jail, at our weekly English and Spanish services and wherever we go, confirming the words with the signs that follow.